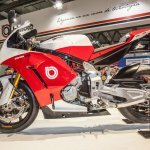 Boutique Italian brand Bimota has served us with so many rolling pieces of art in its 40 year history. 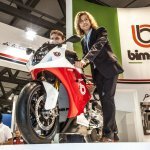 The BB2 presented last year may have failed to live up to some of the expectations, but its next model showcased at the EICMA 2013, is a very appealing effort. 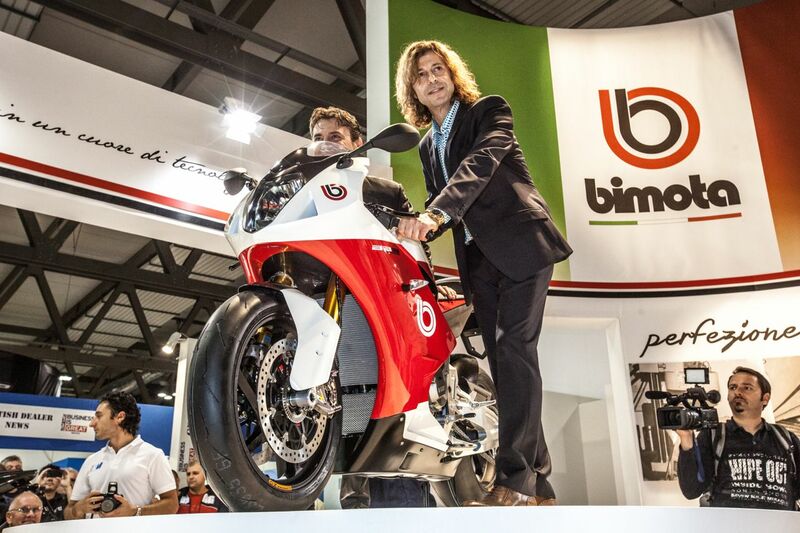 Sporting a 1000cc BMW engine, the Bimota BB3 was unveiled at the EICMA bike exhibition earlier this week. 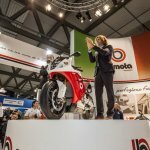 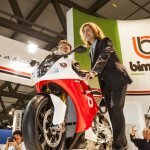 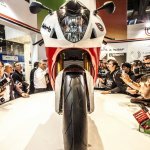 The clean-sheet design Bimota BB3, the first bike showcased by its new owners Daniele Longoni and Marco Chiancianesi, debuted at the EICMA 2013. 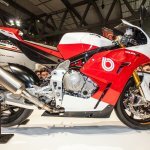 It features the BMW S1000RR's 16-valve four-cylinder 999cc engine (80 mm × 49.7 mm bore x stroke dimensions) which produces 193 hp @ 13,000 rpm and 112 Nm @ 9,750 rpm, hooked to a 6-speed transmission. 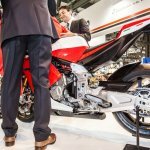 The motorcycle weighs 179 kg and is built on a trellis frame. 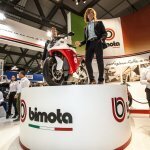 Staying with the technical specs, the steering-head angle is 25 degrees, the length measures 2.07 meters, the wheelbase spans 1.43 meters, the dry weight is 178 kg, the seat height is .82 meters and the tank capacity is 17 liters.